Adventure in Flaming Gorge Country doesn’t end when the snow begins to fly. Our scenic byways are open year-round and a fresh blanket of snow only enhances the enchanting vistas. The unplowed scenic backways turn into wonderful snowmobile and cross-country ski trails. Our spectacular High Uinta Mountains, awe-inspiring vistas, and cozy lodges make Flaming Gorge a snowmobiling wonderland. Over 250 miles of groomed and ungroomed trails range from 7, 300 to 10,000 feet in elevation. Mountain passes, alpine meadows, and backcountry trails beg for your attention. 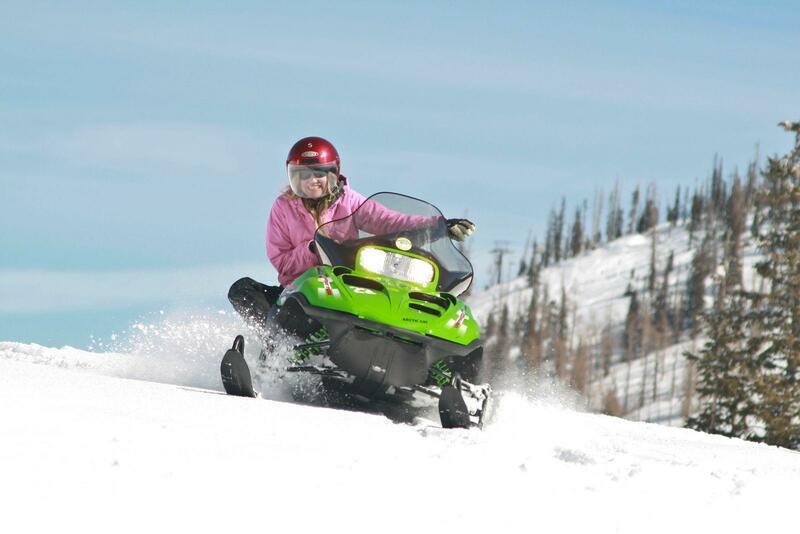 Download our area snowmobile trail map here. Snowshoeing and cross-country skiing are excellent ways to get intimate views of our abundant winter wildlife. From the herds of wintering elk to solitary Bull Moose, large mammals are common companions along the snowy trail. Download our area XC Ski Trail Map here. Better yet, get a copy of Winter Recreation Guide. It’s filled with a variety of marked trails, all easily accessible off the Flaming Gorge – Uintas National Scenic Byway. Many of these trails are groomed as winter snow conditions permit. Snowmobiling, snowshoeing or cross-country skiing to a remote yurt or cabin can be an unforgettable winter overnight adventure. Call (877) 444-6777 or visit www.recreation.gov for rates & reservations for one of these popular yurts. Fishing is a year-round pastime in this area. Lake Flaming Gorge is a favorite spot for ice fishing. Many other easily accessible lakes offer ice fishing along the National Scenic Byway as well. Enter in one of the many ice fishing tournaments while you’re here. The annual Burbot Bash in January is packed with presentations, contests and serious prize money. The blue-ribbon waters of the Green River are fishable every day of the year. Most fishing guide services are available daily. The local secret is that dry-fly fishing can be pretty hot during the middle of many winter days! Don’t forget to look above for the Bald Eagles that migrate to the river for the winter season. And dinosaurs are still on the loose, even in the winter! 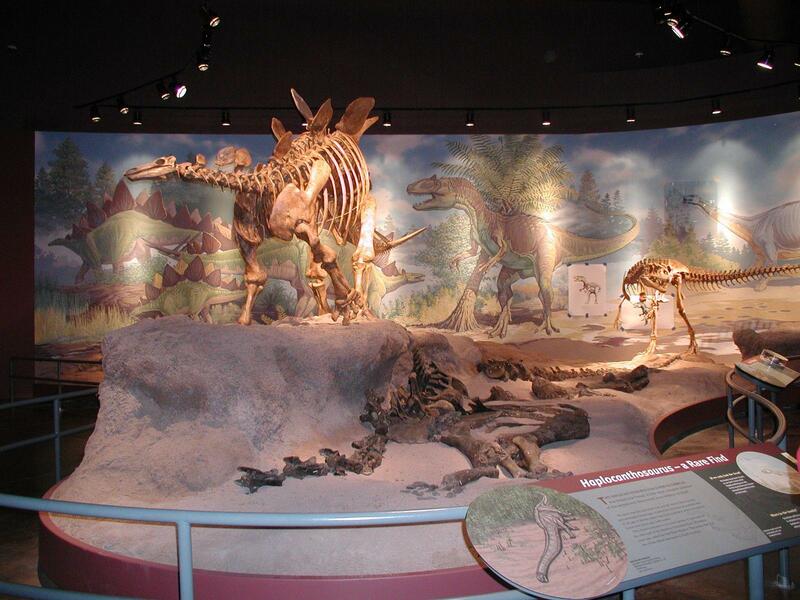 Check out these ancient giants at the Utah Field House of Natural History in Vernal or the WWCC Natural History Museum in Rock Springs, Wyoming. And don’t forget Dinosaur National Monument – it showcases the most abundant collection of Jurassic Period dinosaur bones in the world. The Monument can be explored year-round and there is no entrance fee in the off-season. The Flaming Gorge Dam Visitor Center is open daily, year-round. It is the best place to begin your orientation to the landscapes and history that make us so special. 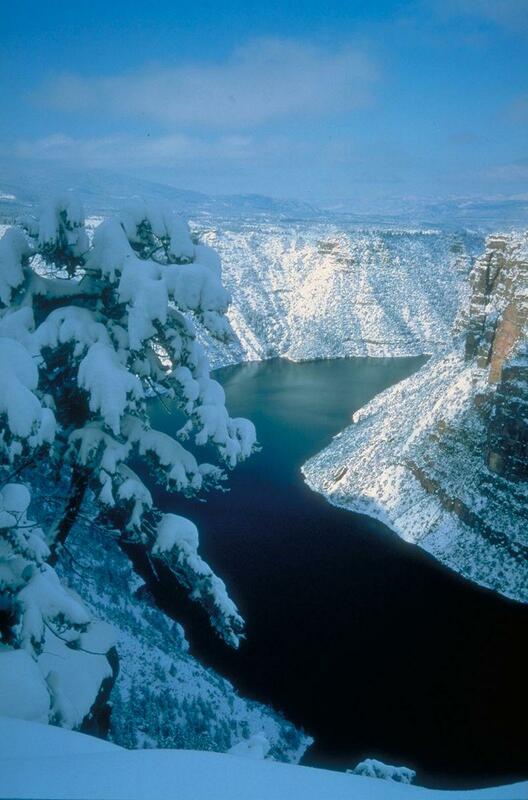 Other museums and visitor centers in Flaming Gorge Country are open in winter as well. Please call for seasonal hours. Several events are notable winter traditions around here. The Winter Family Fest at John Jarvie Historical Site in Browns Park is a local favorite, packed with activities for all ages. All of our gateway towns hold festivals, tree lighting ceremonies and parades during the holiday season. So don’t wait for the summer months to visit Flaming Gorge. Our Winter Recreation Guide is packed with suggestions for any level of adventure. During the winter, the activities and wildlife are plentiful, but the crowds are not! Thank you for visiting http://www.flaminggorgecountry.com/Winter! Be sure and revisit flaminggorgecountry.com frequently for content updates and more.